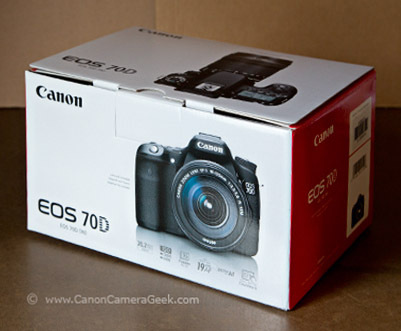 If you want to know what is included with the Canon EOS 70D when you buy just the body only, here is a complete list of what comes in the box. 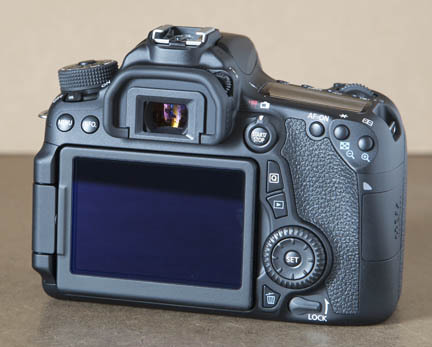 The first part is the actual camera and accessories that are included and the second part is the information and software that comes with your 70D. 1. 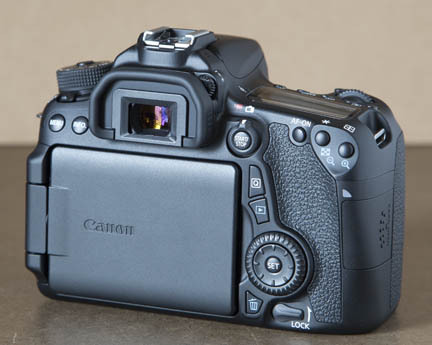 The camera body with body-lens cap inserted. 2. 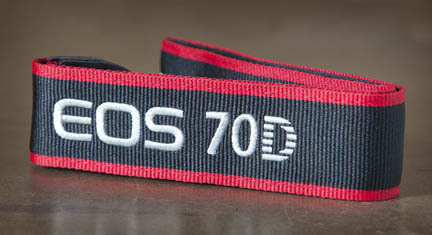 An EOS 70D-labeled camera strap. The body has a great feel to the grip, very similar to my 5D Mark III, just a little smaller in stature and a little lighter. The strap is wide enough to distribute the weight but small enough to fold up for storage. 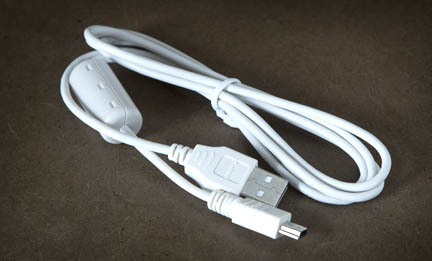 The battery charger has the now standard folding AC prongs which are great for packing or transporting your charger. 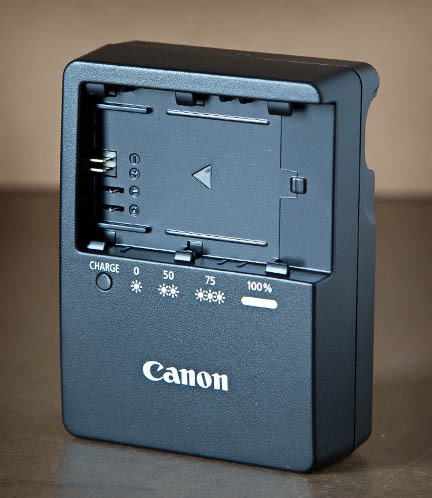 The LP-E6 battery also fits my 5D Mark III which is a nice bonus for me personally, as I am selling my original 5D which takes the 511A batteries. 1. Three discs. Solutions disk, software instructions manual disk, and camera manual disk. 5. Thirty page booklet called "Flash Classroom" on lighting techniques, flash accessories and options with the EOS 70D camera. Plenty of good information here to study and learn if you can commit some time to it. It's common for many of us to skip the manual, but it really is a good idea to block of some quiet time and read through it. I also shot a quick video for those of you who want to see the official un-boxing of my 70D. Here is part two of the video. 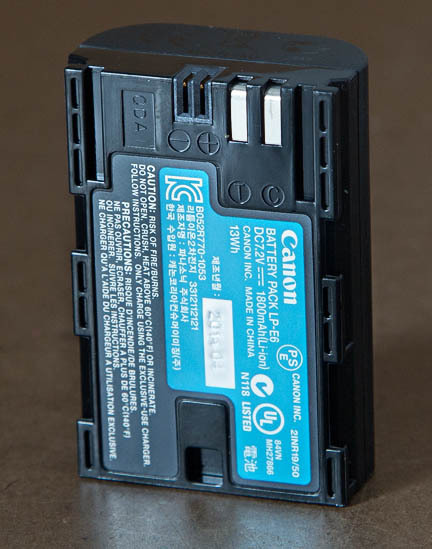 This just shows more detail on the information and CDs that is included with the Canon EOS 70D when you buy just the camera body. With the addition of a lens and a memory card, you really have everything you need to take some great photos with your new 70D. 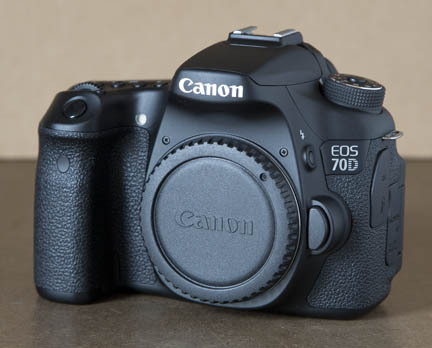 Usually photographers who purchase just an EOS camera body are already set up with at least one of the typical Canon lenses for their 70d that handle most shooting situations. Usually photographers who need a new lens to go along with their new 70D go for one of the Canon kits or Canon bundles that come with the standard 18-55 "kit" lens. Some Canon shooters prefer to take the one-lens-for-everything approach and get the 18-135mm lens. 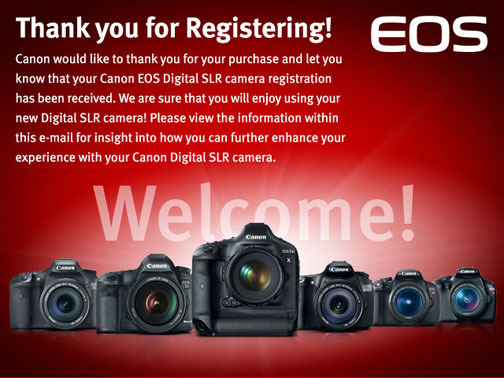 Either way gives you a better value than buying cameras, lenses and accessories separately. Outside of getting a spare battery and a spare memory card, I believe that a good book on the EOS 70D is the next best accessory to get your hands on. 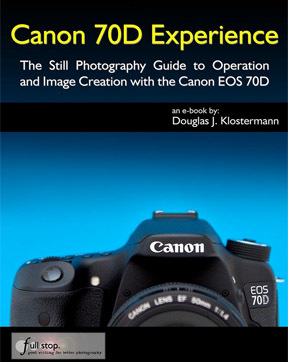 I did brief reviews of three of the better 70D books here.